Nigerian stock exchange and stock market at a glance! The Nigeria stock exchange market is a multi-billion Naira organization that deals and handles the trading of stocks in the country. This stock market has grown so big to have hit the total market capitalization of about 12.88 trillion Naira in 2013 which was equal to 80.8 billion dollars, so big to have produced thousands of millionaires across the country. 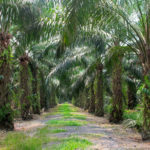 It has been the investment hub for many investors (both foreign and local). Founded in 1960, the Nigerian stock exchange now has about 200 companies listed on it list of companies, this market has been the engine behind the wealth of so many Nigerians. Fortunately, if you are willing to fight the fear of risk and learn the steps and rules of making money in the stock market, then you can make a lot of money from it too. It will be unfair to tell you that by trading in the Nigerian stock market you will automatically become a millionaire in few weeks to come! No it can’t work that way. This is business and investment too, a more serious business at that, and i hope you are not ignorant of the fact that business is a war! You cannot win a war without a tactics and strategy-driven fight. Be willing to work hard and smart, and then you will find things not too difficult and eventually become successful. Note: The Phrases stock exchange and stock market are used interchangeably throughout this article, even though they are not exactly the same in meaning but are closely related and their difference is as small as negligible. Stock exchange is a specific term regarding the process of trading stocks in the stock market, while the stock market is a generic name for where stock exchange is carried out. Note also that the word Stock(s) is synonymous (means the same as) to the words Shares and Equity. 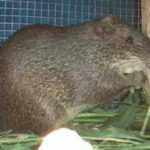 This article was written with the beginners-in-business and the less experienced investors in mind, throughout this article i have chewed down the jargon s of business and investment into simple words, so you don’t need too much experience to understand how the Nigerian stock market or any other stock market works. 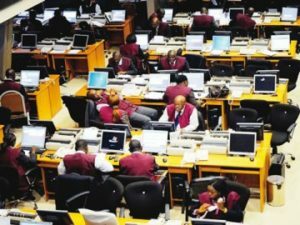 In this article, you are going to understand all you need to know to start trading in the Nigerian stock market in a simple language. First of all let us consider what a stock is, so what is a stock? Let’s check it out. In a sentence, a stock simply means the share of ownership in a company’s assets, profits or earnings. That is to say, when you buy and own a stock then you own part of that company whose stock you bought (i am not talking about being one of the executives of the company here), but you have a share in her assets and profits relating to the amount of the stocks which you bought. So how do stocks come about? I will answer you right away! One major reason that brought about stocks in the business world is the need for more capital by companies. Often times the raising of this capital is necessary for a company’s expansion and growth, to achieve this companies raise capital by selling part of the company (issuing of stocks) to the general public, this is called equity financing. Other options by which companies can raise capital is by borrowing it from the bank or issuing bonds, these methods are called debt financing. In this article I am going to focus on equity financing (stocks). However, I must drum into your ears that stock exchange can be risky (just like any other investment). Also you must note that there is no guarantee on individual stocks in the stock market, when the stock goes bankrupt then your investment is worth zero. I am not discouraging you, am only telling you the truth because i know you are smart! Of course you are! 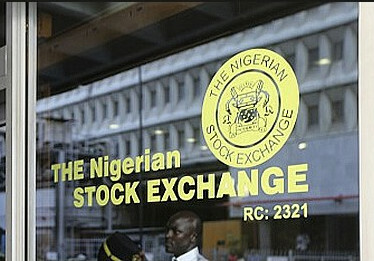 Could you have taken the bold step of reading this article in order to start investing in the Nigerian stock exchange? Before going into details on what stocks are and how you can buy stocks or trade stocks generally let us consider how the stock market works. How the Nigerian stock exchange/market works? Like any other stock market in the world, the system and structure of the Nigerian stock market works the same way, just some few differences. Knowing how the stock market works is an essential knowledge you cannot do without, for how can you drive a car without first learning how it works and then how to drive it? Basically the stock market works similar to the way in which the traditional market works (that’s the normal buying and selling), but going deeper into the Nigerian stock exchange world, you will then understand that it is more structured and more complex. In the traditional market, buyers and sellers meet to carry out commercial activities regarding their needs for value and profit respectively. The same goes for the stock market, companies sell a share of their company in the stock market and then investors buy them as stocks or shares and make their money as the stock appreciates in value, you will learn other means in which money can be made through the Nigerian stock exchange later in this article. So when a company decides to sell certain part of it to public investors, they get their name registered and listed on the Nigerian stock exchange’s list of approved companies and then the trading begins (after all required protocols and processes observed). Now how do you figure out a stock to buy? Before you rush into buying just any stock out there, one of the first factors that will determine your gain in the stock market is your choice of stock, a stock might look tempting at the moment but the question is “how will the stock look like in the next one or two years?” . Will it have appreciated or depreciated? Your ability to predict the appreciation in the market performance of a stock is very important here. When it comes to buying stocks, there are different ways and methods which you can choose from but here I will talk about the most basic and easiest. The most common method is the use of brokerages or a stock broker. These are people who offer you the service of expert advice, managing and monitoring your stock account for you in return for a fee. These guys are professionals and their job is to guide through the process of buying and maintaining of stocks plus few other important things. Even though some of them will charge you much but in most cases, the service is worth the price, notwithstanding you will discover other options as you read down. These guys are professionals and their job is to guide through the process of buying and maintaining of stocks plus few other important things. Even though some of them will charge you much but in most cases, the service is worth the price, notwithstanding you will discover other options as you read down. If you watch financial television cables then you will see some of those guys (plus other people who you will normally meet in the stock market) looking uniform in a hall or large room called trading floor (where stocks are traded). The picture below shows you the the Nigerian stock exchange’s trading floor. There are also thousands of licensed individual brokers who in most cases will charge you less. You can find stock brokers or brokerage services on websites like Nigerian Exchange , Stanwal.com and many others. Most banks also offer these services so if there is a bank you feel OK transacting with, then that might be a better option for you. You can just take a tour to the bank’s website and see if they offer brokerage services(you will find that on their services page if they do). You can go about the whole process yourself, but as a first timer you will find things complex and hard. That is why it’s important to get through using a broker and then when you have mastered climbing the robes you can go about it all by yourself (if you have the time). How to read a stock table (very important!). In stock exchange there is an important word called “stock quote” or stock table. A stock quote or stock table is simply a table with columns and rows showing financial and performance record of stocks in a stock market. 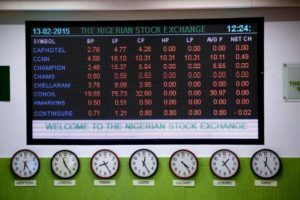 If you have been reading some popular Nigerian newspapers like Daily Trust, Punch and Vanguard then you have probably seen a stock table of the Nigerian stock exchange before. Often times you will see it under the business section of the newspaper, the table is made up of columns like “Name of company”, “Number of deals”, “Quote (N)”, “Quantity traded”, “Value of shares (N)” etc. These are things that will help you determine the right choice of stock which you should buy. For example the quantity traded and value of shares column should tell you which stock is trendier and more profitable at the moment but that is not the only important thing, in fact if your determinant for a profitable stock is just how trendy it is then you stand the risk of losing your investments. You will also have to be familiar with other terms in the stock exchange world which can aid your understanding in a lot of ways. You will also have to be familiar with other terms in the stock exchange world which can aid your understanding in a lot of ways. I strongly recommend that you check the Nigerian stock exchange website and read their stock quote/table as it is more detailed and explanatory, and other websites online who update the stock market’s table on a daily basis. A search on Google.com will get you landed on any of such websites. A more broad and detailed stock table in the global standard will have columns like 52 weeks high/52 weeks low, this is a column showing the highest and lowest value for which a stock was traded on for the past one year. Stock that’s the column for the name of company or stock symbol. Dividend per share, this column shows you the dividend per share (in Naira) of that company, for companies that do not offer dividend this column is often left blank or with a dash-line. Dividend Yield, this states the percentage return on the dividend, it is calculated as yearly dividends per share divided by price per share. Price Ratio – This is the current stock price divided by the earnings per share from the last four quarters. Trading Volume, this column show the total number of shares traded for the day. Day High/Low, here you will see the range of price at which the stock has traded at throughout that day, which is the highest and lowest price that people have paid for the stock. Close, the close column indicates the last price paid for the stock before the market closure of that day. Normally you will be expected to pay the same price as the close-price the following day, just in case you postpone buying of the stocks. Net Change, net change is the difference (in Naira) between the total value of stocks traded that day and the previous day. You can see most of the columns i mentioned appearing there on the table, the have are mostly represented in short forms. For example in the picture above, the HP column stands for highest price, LP – lowest price, AVG P – average price, NET CH net change etc…. Other times the table can be reduced and narrowed to show just a particular information, for example the table below shows the activity table, specifically from the financial-sector category of the stock market’s list. The fist column there shows you the name of the company (or name of stock), followed by the stock price (price per stock), and then the volume column (volume of stocks traded per day). Get familiar with those jargon, it might be confusing at first but by reading and asking about it, you will eventually understand everything. Sometimes a stock can be less trendy and cheap but then in a short while the value of it will drastically increase, giving its investors more profit in a short time. So how do I forecast a profitable stock? The answers are simple! Study and master the stock table, buy daily newspapers to see how stocks are and have been performing in the stock market, not just that. Master the act of reading numbers or financial figures, acquire financial literacy or education. Read good books on the stock market and stock trading, watch how the giants play the game. Before you know it you will be full of the investment wisdom such that you can predict the performance of a stock and be certain about it. Another bright option of getting familiar with the stock market and mastering its rudiments is by practicing stock exchange on virtual stock exchange websites like Market Watch , How the market works and Virtual stock market there are many of them on the internet. On these websites you will find interactive games on how the real stock market works, how profits are made, just everything about stock exchange using virtual money. Those websites are great resource and most of them are free but they provide premium access too, visit them. Dare to take big smart risks, and you will be surprised at height in which you will eventually soar. How you can make money through the Nigerian stock exchange. Having known what a stock is, how the stock market works, how to read a stock quote and buy stocks, the next question is how can I make money through the Nigerian stock exchange? Change in stock prices occur because of demand and supply of the stock in the market. For example when more people are selling a stock than buying it then the price of the stock decreases drastically and then if more people are buying the stock than selling it then the stock price increases, thereby increasing the profit of its shareholders. Secondly, in stock exchange there is something called a “dividend” A dividend is simply a profit given to you at specified intervals of time when you buy stocks from a company. It may be monthly quarterly, it all depends on the company. Some companies do not give dividends and there is no obligation for that. The third and one of the most efficient ways you can make money in the stock market is, the more shares you own the more money you make. As you master the art of investing in the stock market, one sure way of getting ahead financially in the Nigerian stock exchange is buying of more stocks (from one/more companies, or from other investors). Now it’s time for you to get into action! Take the bull by the horn and set yourself on this one of many ways to fortune. If you are expecting millions in few months’ time, then am sorry you will be disappointed. Be ready to work and work hard, be ready to think and think smart, be ready to take the risk and take big risk. Wish you all the best and see you at the top!